Millennials have been slow to enter the housing market: home ownership among 18-34 year olds is the lowest it’s been since the US Census Bureau began measuring data in 1982. 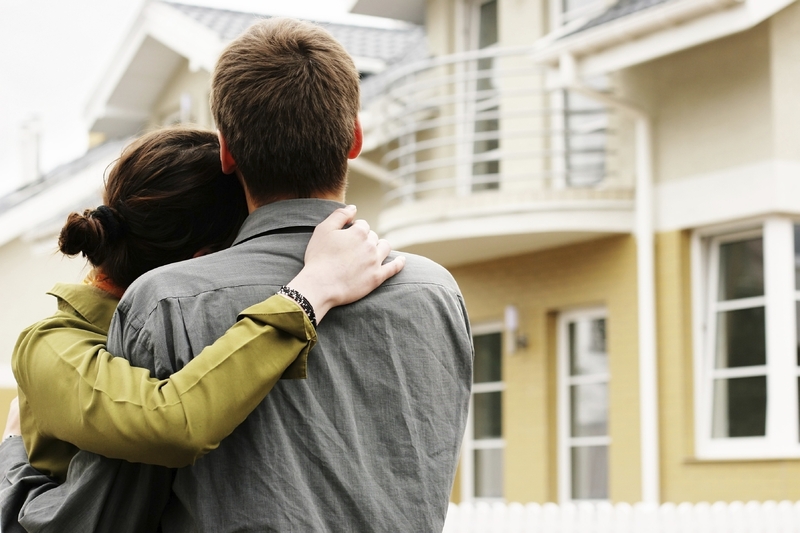 But with a more favorable lending environment, rising rental prices and desires for home ownership, millennials are set to be the largest home-buying group in 2015. For real estate agents, mortgage brokers, home builders and others in the real estate industry, working with millennials will be key for success in the coming years. So, here’s our tips for wooing the 80 million millenials. If you want to attract millennials, forget billboards and mailouts. According to a new study released by Elite Daily, 33% of millennials choose blogs as their main media source. Less than 3% agree that television news, books and magazines influence their purchasing decisions, and only 1% say that a great advertisement makes them trust a brand. To appeal to millennials opt for blogs, social media, online review sites & a really great website over print, radio or out-of-home. When you begin to work with a milllennial buyer, expect them to be well-researched – they’ll very likely come to you with a list of properties they’re interested in. Since millennials don’t trust traditional media, they’ll spend significant time educating themselves to make good purchase decisions. They’re used to researching online, so don’t expect a millennial buyer to take the back seat. On average, a millennial that’s a first-time buyer will search online for 3 weeks prior to contacting an agent. 87% of millennials use two or three tech devices on a daily basis. This means agents should be using multiple platforms and communication tools to connect with these buyers. Make sure your website is mobile & tablet friendly, and that your emails can be easily opened on mobile devices. 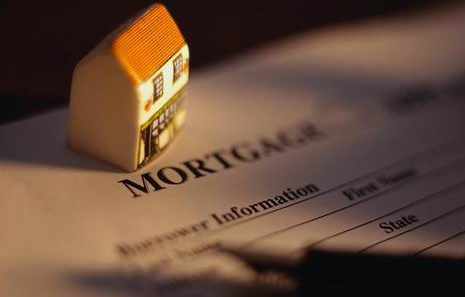 Since the vast majority of millennials are first-time buyers, they likely don’t have a mortgage broker, lawyer, home appraiser, contractor or moving company that they trust. As their agent, you can guide the buying process and make it stress free by connecting them with a great team. You’ll not only impress your client by providing awesome service, but you’ll also get to the closing table faster and strengthen your vendor network. Because millennials like to research and shop around before making a decision, when they connect with a brand they’re very loyal. 89% of millennial home buyers say they would probably or definitely use their agent again or recommend their agent to others. This means that giving awesome service to millenials leads to a steady stream of referrals and repeat business. Nearly 9 out of 10 consumers read online reviews. For real estate agents, online reviews are big business: an agent’s trustworthiness, honesty and reputation are the most important factors when buyers and sellers choose an agent. As sites like Zillow, Trulia, Yelp and Redfin continue to grow in popularity, managing online reviews will only continue to be more important. So, if you want to start leveraging reviews and building your online reputation, he’s the skinny on how you can win the review game. Did you know that the number of online reviews you have influences where you rank in search results? And that 85% of consumers only feel satisfied that they can trust a business after reading at least 10 reviews? That means increasing your review volume is crucial for SEO and your credibility. To increase reviews, first make sure you’ve claimed your profiles on major review sites and completed your details. Include links to profiles on review sites in your email signature, website, newsletter and blog. Better yet, ask past clients to offer feedback on review sites. Whatever you do, DON’T be tempted to write fake reviews or buy reviews – review sites are cracking down and will flag your profile. For example, Yelp will post a Consumer Alert on your profile to notify potential clients that you’ve been caught posting fake reviews. 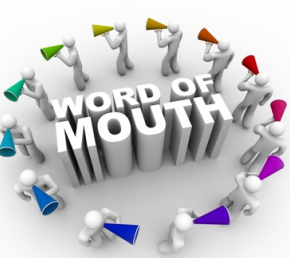 Positive online reviews are marketing gold – word of mouth is the most trusted form of advertising. First, thank online reviews for their feedback – it shows genuineness and that you care about clients after the sale too. To get even more traction from positive reviews, direct potential clients to view your profiles on review sites by having links on your website, social media profiles, newsletters, email signatures and print advertising. Better yet, share positive reviews on social media to increase exposure and let these positive reviewers know that you appreciate referrals! Any agent, no matter how exceptional, may end up with a few negative reviews. When you read a review, first take a step back and be objective. Is there an opportunity for improvement? How would you react if your broker had given you the same feedback? While negative reviews can be embarrassing, they often can offer valuable performance feedback. 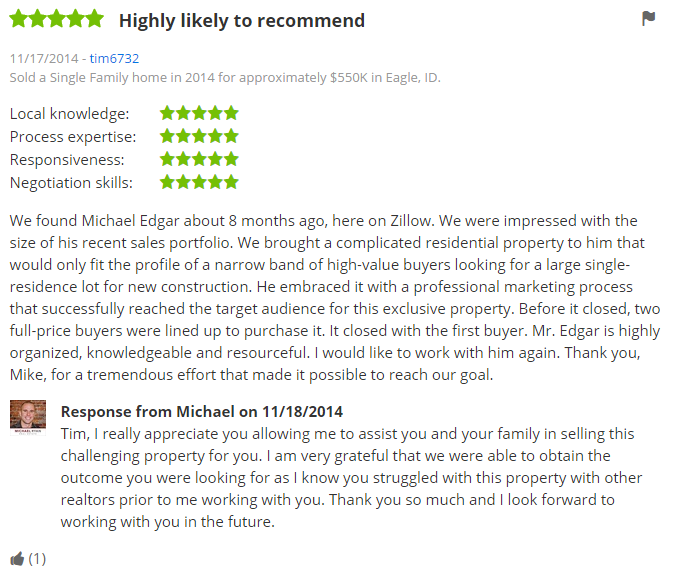 I’m glad that we were able to get your home sold quickly, but I’m sorry you felt out of the loop and found the transaction process stressful. I want all of my clients to feel 100% happy after working with me, and would appreciate if you could email me any details on the particulars of what made the transaction less than ideal – I appreciate the feedback. After responding to a negative review and working to amend the situation, the client may take the review down or update it to show that you solved the issue. At the end of the day, you don’t need to be afraid of online reviews. While they can make any business owner weary, 66% of Yelp reviews are 4 or 5 star ratings. And better yet, 13% of agents receive 21 or more leads from online reviews. Have you used online reviews to increase referrals? Affiliates or Referrals??? What’s the Difference? Here at QuickLinkt, we often get asked what the difference between affiliate and referral marketing is. While referrals account for 65% of all new business, the affiliate industry is set to grow to $4.5B by 2016 – so it’s no wonder there’s confusion. While there’s similarities between the two, there’s also clear distinctions. So to clear it up, we decided to do a run down of affiliate and referral marketing – and how they differ. Affiliate Marketing: Agents or partners (aka affiliates) send traffic to your website or new customers to your business. Referral Marketing: A current client, customer or business connection recommends you to their friends and family, and often provides you with their contact information. 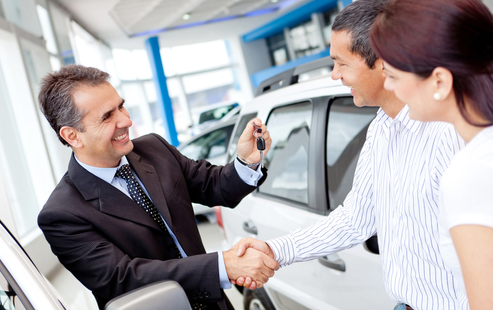 In Referral Marketing, the referred customer is known by the referral source. In Affiliate Marketing, the affiliate has no personal relationship with customers they send. Affiliates are paid commission for every customer/client they send. Referral programs can include rewards for making referrals, 2-way rewards for both the referrer and referree, or have no rewards. Affiliate partners are driven solely by financial gain, whereas referrals are based on personal relationships and trust. Affiliate commission rates typically start at 20% and increase to as high as 60% as success rates increase. Over time, the cost per new sale increases. With referrals, the cost per new sale decreases over time as the number of customers making referrals increases. While affiliate marketing has its uses, referral programs have additional benefits that make them a better long term solution. First, referred customers are far easier to close than those sent from affiliates because consumers are 4X more likely to buy when referred by family or friends. Better yet, referral programs increase loyalty among your current customers. The effects of referral programs also snowball over time because every referred customer becomes a source for new referrals. So while affiliates are useful for driving web traffic, if you want a marketing solution that builds your reputation, increases loyalty and decreases advertising costs over time, a referral program is the way to go. If you’re interested in referral marketing for your business, check out how you can get started with QuickLinkt for free. It’s a great way to encourage, track and reward referrals – without breaking the bank. Airbnb is a unique online marketplace that allows people to list, find and book accommodations around the globe. Anyone can list their condo, house, cabin or even castle on the site and receive bookings from travelers wanting a unique, local experience. Like any business, word-of-mouth is a powerful source of growth for Airbnb: travelers share their awesome holidays with friends and family, and people who list their space attest to the safety, ease and practicality of Airbnb. Despite so much growth coming from referrals, the company’s Jason Bosinoff described Airbnb’s official referral program as outdated and underutilized. Information on the referral program was hidden on the company’s website and users couldn’t make referrals from the mobile app. The referral program needed a revamp. So, Airbnb went to work building its program. It ended up seeing an increase in signups by 300% per day. Looking at these incredible results, there’s some clear takeaways that any business should keep in mind when designing referral programs. If you want to increase the number of referrals AND the number of referrals that result in new business, it’s best to create 2-way referral incentives. With Airbnb, the incentive was simple – refer a friend and you’ll both get a $25 travel credit when they book their first trip. The 2-way incentive is perfect because it encourages both new customers to try your business, and increases loyalty from your current customer base. One of the main learnings from Airbnb is that it needs to be easy for your customers to make referrals. The company made its referral program far more visible on its website and launched mobile referrals from its iOS and Android app. Allowing customers to submit referrals from their Smartphone allowed for in-the-moment referrals, and ensured that users would never miss an opportunity to invite their friends to use Airbnb. No matter how you structure your referral program, decide how you determine success and make measurement part of the process to improve success. There you have it! Basic principles learned from Airbnb’s referral program. So whether you’re a realtor, freelance photographer, crossfit coach… you name it, you can start your referral program by following this advice.